For those of you who don't know, I go to school at Chapman University in Orange County, California. I wrapped up school on May 17th and my brother, Sam, flew out to California to help me pack all my stuff in my car and drive back home to Colorado in 36 hours. We left Orange at 8 a.m in the morning and arrived to Zion National Park a little after 5 p.m. 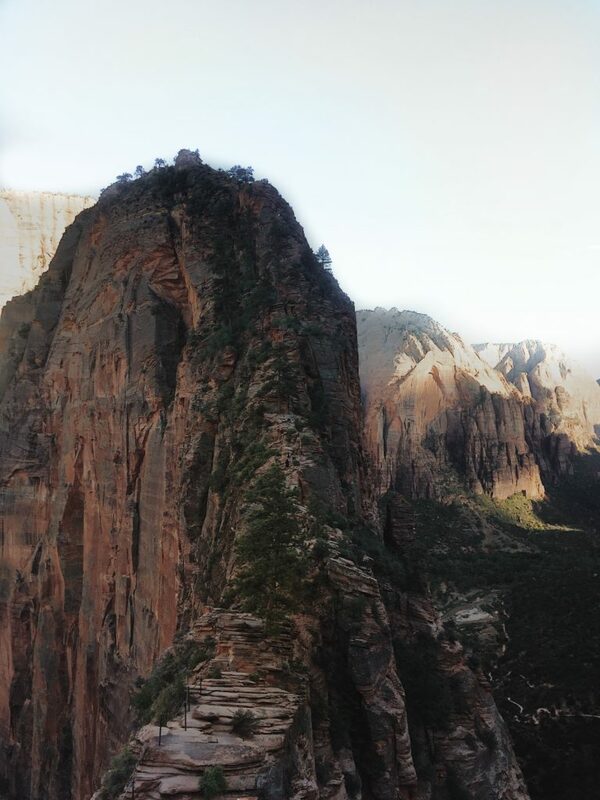 I forced him to hike to Angels Landing (pictured below) and even though he was apprehensive to try and do a 5 mile hike (basically straight up hill) in two hours, once we got to the top, we both agreed that it was one of the most beautiful things we had ever seen. After hanging out at the top for awhile, the sun began to set so we rushed down the trail and grabbed dinner in the town of Zion. After dinner we drove another two hours to Page, Arizona, where we spent the night before waking up the following morning to explore the region. We got up a little after 8 a.m and headed to our reservation at Lower Antelope Canyon (pictured below). [a little side note: if you want to go to Antelope Canyon, it is on a Indian Reservation and you are going to have to pay for a tour of the Canyon, so you may as well book it online in advanced (I've done Ken's Tours twice and it has been great)]. After our tour in the canyon we headed to Horseshoe Bend (pictured below), and snapped a few pictures, before getting back on the road to Colorado. The final stop on our road trip was Monument Valley (pictured below) which was incredible. After stopping alongside the road in the valley we headed straight back home to Denver. I continue to say it to everyone, but the west is really the craziest place. The open skies, the endless national parks, snowcapped peak, and abundant opportunities to discover new places, keep me constantly inspired. If you ever have the chance to travel from Southern California to Colorado, this is the perfect route to see some of the United States's best geographical features.